- The ethereal beauty of the mystical unicorn shines through in these sterling silver stud earrings. For pierced ears only. Earrings measure 5/16" tall. 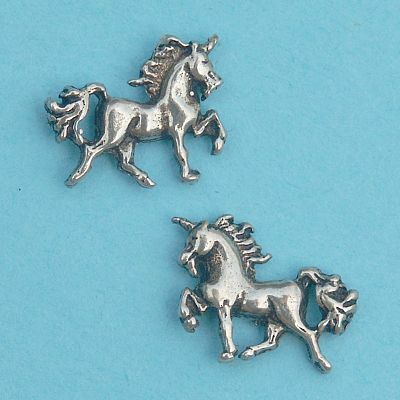 Do you have any other questions about our Silver Prancing Unicorn Stud Earrings?